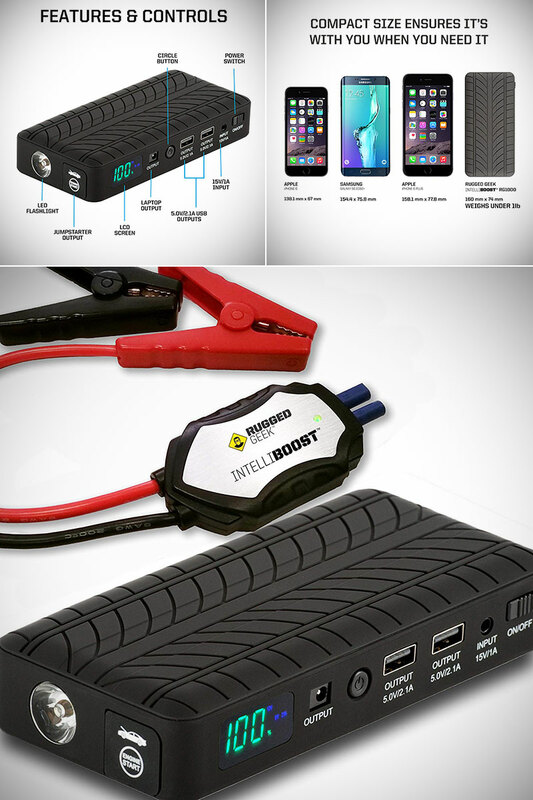 Rugged Geek’s RG1000 Portable Car Jump Starter doubles as a power bank with laptop compatibility, all for $67.77 shipped, today only, originally $199.99. It will boost most vehicles with gas engines up to 7.0L in size and diesel engines up to 3.5L in size. The powerful 39Wh battery can boost an average vehicle over 20 times on a single charge. Two high power USB ports allow you to charge all your USB devices, while one variable output laptop charging port charges most laptops on the market today. Product page. Read more for a hands-on test video and additional information. 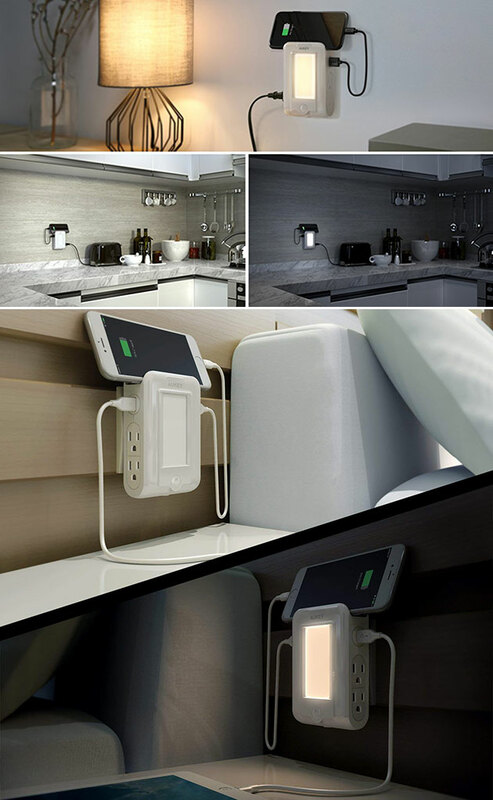 AUKEY’s (PA-X06) surge protector not only boasts 4 AC outlets and 2 USB ports, but doubles as a nightlight, all for $14 with coupon code: AUKEY06X, today only, originally $19.99. 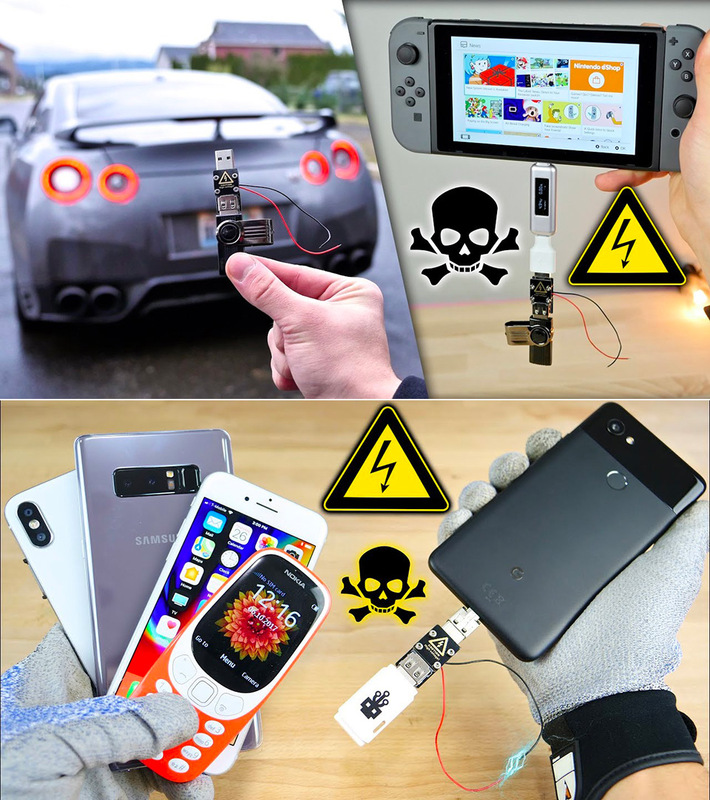 Charge two phones at the same time with a total current output of 2.1A. Stand your phone on top of the USB wall outlet while it’s being charged. No worries about short charging cables, the lack of an accessible table, or the risks of leaving your phone on the floor. The front LED panel gives off a soft yellow light when the ambient light sensor on the bottom detects low light levels in the surrounding environment. Product page – be sure to enter coupon code: AUKEY06X during final checkout to receive the additional discount. Read more for additional pictures and information. 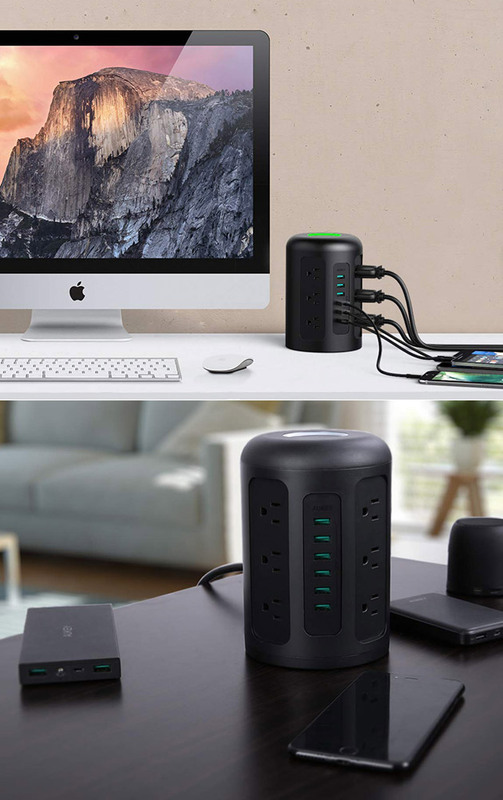 Aukey’s Mac Pro-inspired Power Strip with 6 USB Ports is great for travel, and it’s being offered for just $20.50 shipped with coupon code: 98UZ6HNO, today only, originally $49.99. Offering 12 AC outlets and 6 USB ports that power up to twelve electrical devices and six USB-powered devices like your smartphone, tablet, Bluetooth speaker, and more. One button on the top to conveniently power on or off the PA-S14 and all attached devices. Advanced circuitry and built-in safeguards protect your devices against excessive current, overheating, and over charging. Product page – be sure to enter coupon code: 98UZ6HNO during final checkout to receive the additional discount. Sabrent’s 60 Watt (12 Amp) 10-Port USB Rapid Charger only requires a single outlet, and it’s being offered for just $19.99, today only, originally $44.99. Smart port technology maximizes compatibility with Android, Apple and other devices by enabling charging speeds of up to 12 amps among 10 ports or 2.4 amps per port. Perfect for International Travel – AC 110-220V input voltage. Product page. Continue reading for another video review, more pictures and information. Sabrent’s 60 Watt (12 Amp) 10-Port USB Rapid Charger ensures maximum charging power to all plugged-in devices, and it’s being offered for just $29.99 shipped, today only, originally $44.99. Simply connect any USB mobile device, such as an iPad, iPhone, iPod, Tablet PC, Smartphone, a Wireless Hotspot etc. 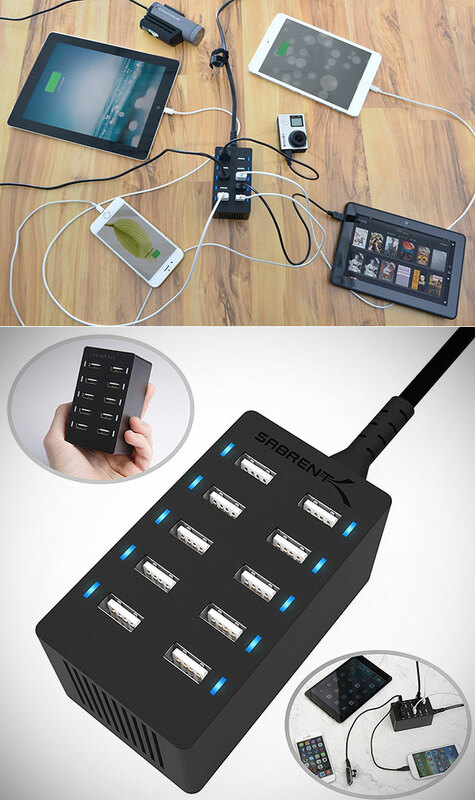 and quickly charge all your devices from one place. It’s durable and lightweight and works great at home / office as well as a must-have travel companion to charge all your power-hungry devices. Product page. Continue reading for more pictures and information. Sleek and stylish, the RAVPower 32,000mAh Power Bank is unlike any other that you’ll find in its price range, as the charger offers up to 11-days of power. What does this mean? 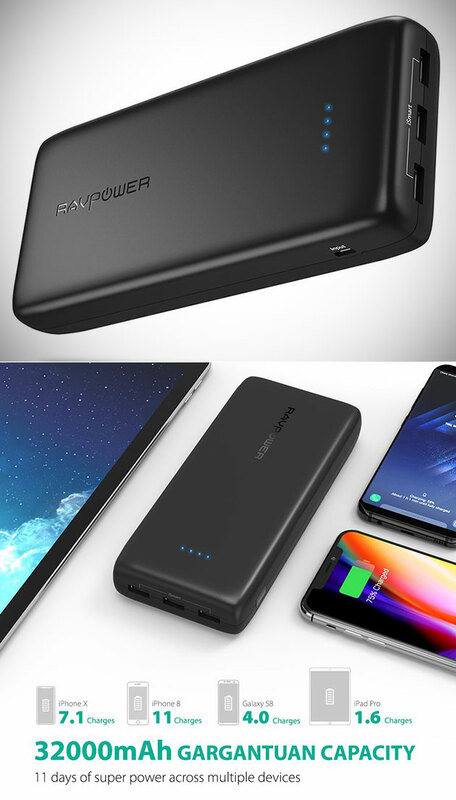 It’s capable of fully charging an iPhone X approximately 7.1 times, a Samsung Galaxy S8 up to 6.4 times, iPad mini up to 4.3 times, or an iPad Pro up to 1.8 times over, making the power bank perfect for everyday use. You also get three iSmart 2.0 USB ports, which means you’ll be able to charge multiple devices simultaneously. Product page. Continue reading for our full review, complete with hands-on pictures. 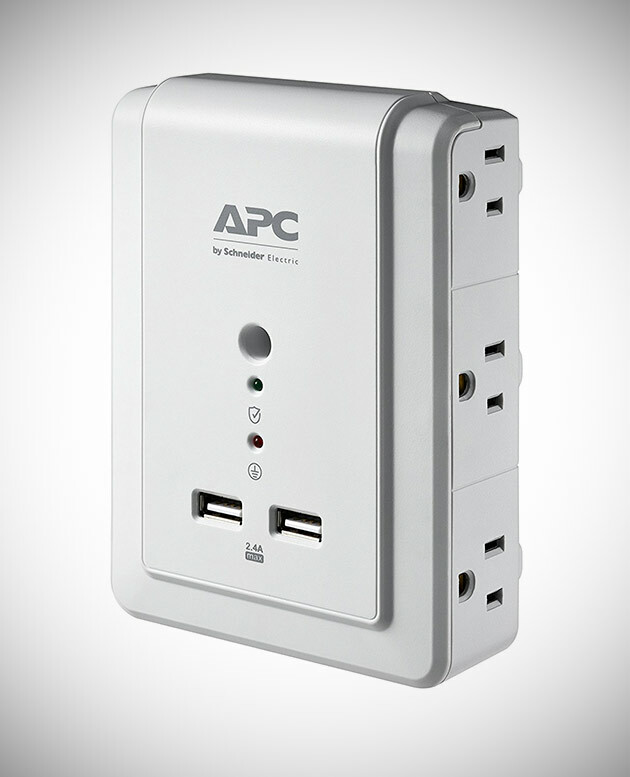 APC’s 6-Outlet Wall Surge Protector also includes two USB charging ports, and you can pick one up for $12.66 after clipping the $3 coupon, today only, originally $19.99. The P6WU2’s state-of-the-art circuitry offers protection for sensitive electronic equipment against larger power surges and more common power fluctuations. Six surge protected outlets, two 2.4A USB charging ports, status indicator LED lights, and lifetime Equipment Protection Policy. Product page/a>. Continue reading for another picture and more information. 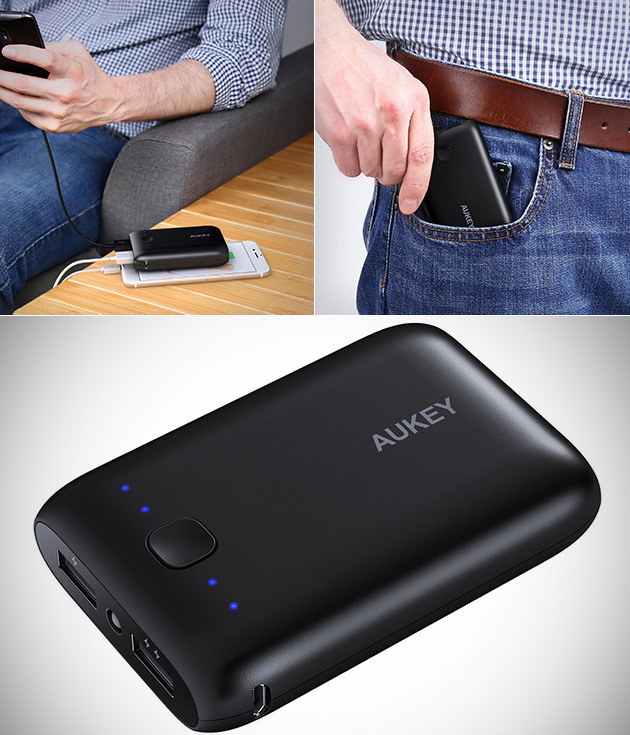 AUKEY’s pocket-sized 10,050mAh PB-N52 power bank is perfect for your everyday carry and can even fit in some pockets, all for $10.91 with coupon code: KYMXS8DM, today only, originally $20.99. Simply plug-in to charge two devices at the same time, with a combined output of up to 2.1A from the dual USB ports. Also features a built-in flashlight and LED battery level indicator. Product page – be sure to enter coupon code: KYMXS8DM during final checkout to receive the additional discount. Continue reading for more pictures, an unboxing video and additional information. 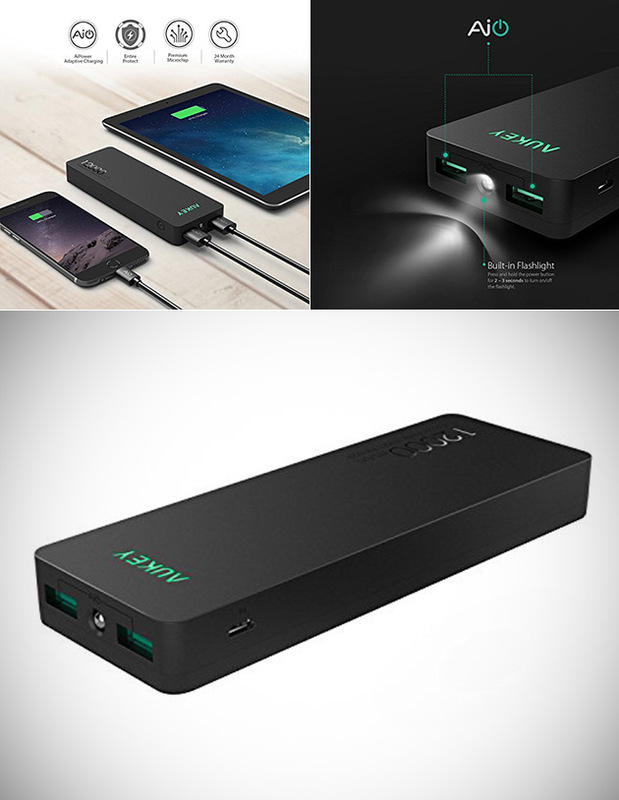 Aukey’s PB-N28 12,000mAh Power Bank can charge two devices simultaneously, and it’s being offered for just $11.96 with coupon code: P89DHWXP, today only, originally $259.99. Tuned to support healthier battery function and faster USB charging speeds, AiPower intelligently adjusts power output to match the unique charging needs of all your USB powered gear. Advanced circuitry and built in safeguards protect your devices against excessive current, overheating, and over charging. Product page – be sure to enter coupon code: P89DHWXP during final checkout to receive the additional discount. Continue reading for another hands-on video review and more information.